Home » Blog » Channel Lineup » What Channel is Starz on Cox? What Channel is Starz on Cox? Entertainment standards have really raised the bar over the last decade or so. There is just so much to watch. From sports to drama to comedy to reality TV, entertainment options are overwhelming. Many providers offer hundreds of channels, which can make finding the right channel difficult. Finding Starz on Cox can be a challenge for new subscribers who aren’t familiar with their lineup. Premium entertainment is a key concern for TV viewers everywhere, and it doesn’t get any more premium than Starz! Where is Starz on Cox? The exact channel position of the channel in your Cox TV package depends on your location. The Starz network consists of a number of channels. Whether you have all of them included in your lineup depends on the package you choose. The actual channel position will vary based on which city or state your residence is located. Starz is one of the most-watched entertainment networks in America. The channel consists of a diverse mix of original movies, shows, and programming. The network itself consists of a number of channels. The popular ones are listed below with their channel position in the main cities in various states. What’s to watch on Starz East on Cox? Starz is the flagship channel of the network. The programming consists of popular movies as well as first-run original TV shows. It airs a diverse collection of films from Hollywood smash hits to independent films. Films debut on the flagship channel between eight months to one year of their theatrical release. There is a maximum time difference of three hours between the airing of Starz West and the East version. Experience the best of the flagship programming with the provider’s various TV packages. Starz Kids & Family is a family-friendly entertainment option from the network. The best bit about this channel is constant airtime with little to no commercial breaks. The channel is a merging of the network’s Kids and Family channels into one Kids & Family entertainment offering. The channel usually airs family movies. This includes action, adventure, comedies, dramas, animation and live-action programming for kids. Many program blocks specifically target a pre-teen audience, such as Building Blocks and Six Block. Starz Comedy on Cox has All the Laughs! Starz Comedy is a lighthearted, humor-filled channel broadcast by the network. It airs a variety of comedy content to help you get a few laughs in at the end of a long day. The programs aired vary from romantic comedies, slapstick shows, and dramedies. Launched in 2005, the channel has since become the hallmark in good-quality comedy. What’s on Starz Edge on Cox? This channel has an audience of young adults, primarily aged 18 to 34. Originally known as Starz! 2, the channel was rebranded in 1999 and again in 2005. The channel usually airs films aimed at a young adult audience. It follows an airing schedule that mirrors movie theatre schedules. All in all, a great entertainment option if you fall in the 18-34 age demographic. What is Starz in Black on Cox? This channel offering by the network focuses on the African-American demographic. It features quality programming ranging from urban entertainment to black cinema. It airs a diverse mixture of classic films, first-runs, original programming as well as several Pan-African productions. The channel is very popular with its black target market and is a standard in African-American households. Starz Cinema is your go-to option when you want mainstream film entertainment. The channel airs a curated selection of blockbusters and independent productions as well. The channel also regularly airs arthouse films that cater to a more limited audience. This channel offers some of the best feature films that make it to the top of the charts during the year. If you’re in the mood for a movie night and have cable, then this should be your choice for the evening. Experience all the best cinematic hits in the comfort of your home. Just be sure to have the popcorn ready! As cable providers go, it is right up there with the best. It offers some of the most comprehensive Cox channel lineups in the business. Again, the actual channel position may vary based on your location. The provider remains very popular with Americans of all demographics. This is thanks to a solid service structure as well as outstanding Cox customer service. Another reason is the convenient bill payment methods the provider offers. If you’re looking for a provider who offers the best entertainment options at the best value, look no further. 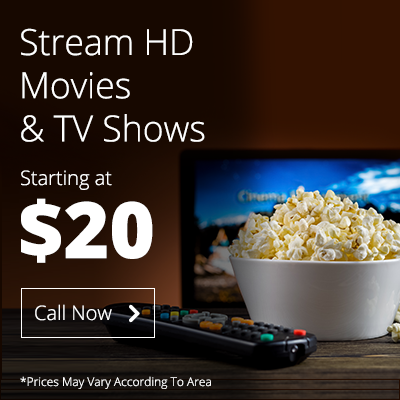 As far as your entertainment needs go, this provider has everything to meet them. Next PostNext What Channel is ESPN on Spectrum Charter / TWC?